EDINBURG — UTRGV baseball will begin the 2019 season with an early test as the Vaqueros welcome Oklahoma State to Edinburg for a three-game set starting at 7 p.m., Friday, Feb. 15. Derek Matlock is in his second season at the helm of the Vaqueros and his team’s schedule is a sign of new management. Oklahoma State was 31-26-1 in 2017 and 16-8 in the Big 12 conference on route to an at-large berth in the NCAA Deland Regional. Last year, UTRGV went 23-31 and 8-16 in conference play. The Vaqueros-Cowboys series continues at 2 p.m. Saturday and wraps up at 1 p.m. Sunday. UTRGV continues with a long home stand against Houston Baptist Feb. 19 and a four-game series against Rhode Island March 1-3. Sandwiched between those matchups is the Al Ogletree Classic, which will see North Dakota State and the University of Portland. The first time the team leaves the RGV is March 5 for the annual dance with the University of Texas Longhorns in Austin. 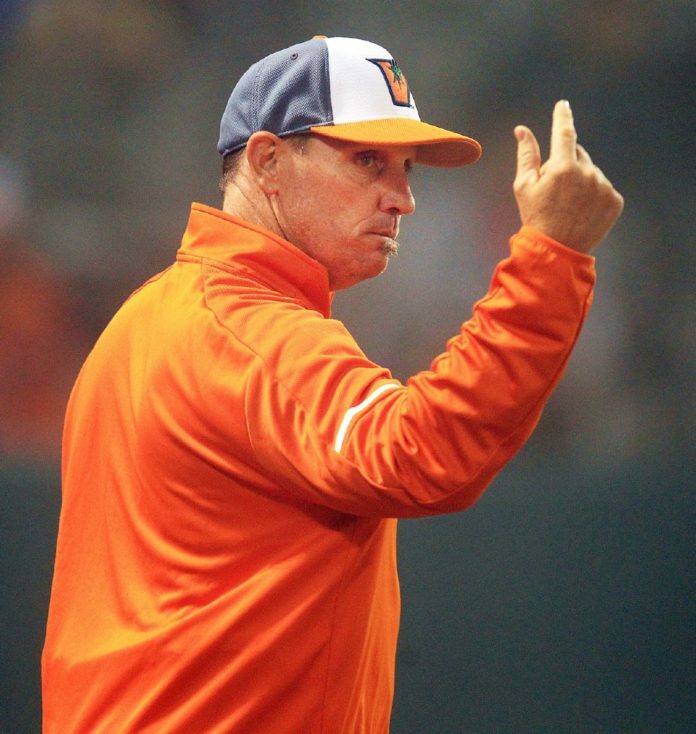 Matlock knows the key to ending the 32-year drought since UTRGV’s last NCAA Regional trip is being better in WAC play and try to win the end-of-season tournament that determines the conference’s lone automatic NCAA tournament bid. UTRGV’s last appearance in the WAC tournament was in 2014 under legacy institution UTPA.